In this article, we’re going to dive deep into the Bear Grylls Ultimate Pro Survival Knife by Gerber, as we review its features and best uses, and help you determine if this popular knife is worth your money—especially based on how you’ll likely want to use it. To better help you, feel free to use the interactive table below which will help you compare the Bear Grylls Ultimate Pro to other Gerber products like the Ultimate blade, the Ultimate Serrated blade, and even the Bear Grylls Scout Drop Point knife. Gerber, a premier supplier of outdoor equipment such as knives and survival gear, is known for producing quality items that stand out from the others. Based in Portland, Oregon, the company was founded in 1939 and over the years has established a reputation for quality service that’s confirmed by the number of outdoorsmen and military personnel who use their products. For knife enthusiasts of Gerber products, this $69 Gerber survival knife has a full tang 4.8 inch blade made of 9CR19MoV premium steel. The overall length of the knife is 10 inches. Equipped with a Gerber knife sharpener, as well as an emergency lanyard whistle and a firestarter mounted into the sheath, the Ultimate Pro comes to customers in the wake of its predecessor, the original Bear Grylls Ultimate Survival Knife, which for many hunters and outdoorsmen was as good as a knife can get. That is, until Gerber made it better. The Ultimate Pro includes all the advantages of its earlier version while adding a few extras that make it worth the climb in price from $40 to $70. 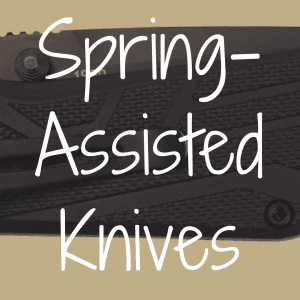 The knife is what you want to have for your outdoor activities, whether you’re camping with the family, hiking or backpacking with friends, pitting yourself against all that nature can throw at you, or whether the only outdoor activity you engage in on a regular basis is doing battle with the shrubbery in your front yard. The Ultimate Pro’s full tang means that the steel of the blade runs the entire length of the knife, making it the strongest and most durable aspect of a powerful knife with steel that never stops. Knives are judged by their blades, but a survival knife has to bring a lot more to the table than just a sharp edge, and full tang is the steroid of knives. When Gerber decided to improve the already-pretty-good original Bear Grylls Survival Knife, the company opted for 9C419MoV high carbon stainless steel because it’s tougher and holds its edge better than the original Survival Knife’s 7Cr17MoV steel. The Ultimate Pro’s edge arrives sharp right out of the box upon delivery and stays sharp through rugged use; it can even handle cutting hardwood branches without needing to touch up the edge. Stropping on a regular basis helps to maintain the reliability of the sharp edge, as well. The spine side of the Ultimate Pro is notched out to to be used as the fire steel strike. The edge side of the blade has a choil, or cutaway section between the knife’s hand guard and edge, to allow for greater control when cutting and slicing. However, the authentic purpose of the Ultimate Pro’s choil is so that, when sharpening, you can sharpen the entire length of the blade without running into obstruction from the knife handle or hand guard. The Ultimate Pro’s fine edge has no serrations, which may matter depending on what you expect your knife to do. A fine-edge blade dulls more easily than a serrated edge, which also has the advantage of being up to the task of cutting rope, and giving the knife more versatility. But serrations are a drawback as well, because they can’t be of use if your task requires skinning, slicing, or cutting. And when it comes to fixing a dulled or damaged serrated blade, even fans of serrated knives admit that sharpening is a pain. The handle of the Ultimate Pro consists of the tang and rugged polymer pieces that are secured to the knife with torque bolts and metal insets located inside the lashing holes at the top of the grip. The polymer handle is coated with a rubberized, easy-grip material; compared to its predecessor, the Ultimate Pro feels more substantial, while at the same time lighter. With a center of gravity in the forefinger handle cutout area, the knife balances well. If you have a survival knife, you didn’t buy it for a feel-good, warm and fuzzy reason. You’re not looking for trouble, but you know that outdoor activity can be unpredictable, and you expect your knife to measure up to any challenge. The Ultimate Pro comes equipped for versatility, with its two holes located on the hand guard that can be used to lash the knife onto a pole so it can be used as a spear. The lashing holes, which are aligned with two raised bumps on each side, lock the knife in the sheath when it’s not being used. A handle strap makes sure that the knife remains tight against the sheath when it’s not in use. Right-handers and left-handers alike can use the Ultimate Pro, which is designed to be accessible for both. If you end up in the water, or your camp is hit by rain, the knife has its own drainage system, with a hole at the bottom that allows the water to escape. The sheath comes with a nylon vertical belt loop so that it can be carried, as long as the belt is no more than two inches wide. The predecessor of the Ultimate Pro came with MOLLE-compatible strap sections, but if you’re in need of a way to attach the sheath to webbing, you’ll have to improvise. The pommel, because it’s pinned and welded to the tang, has built-in added strength for rigorous use. Its larger size makes it ideal for pounding stakes into the ground during a camping outing. The emergency whistle, which is attached to the knife with an integrated lanyard, is loud enough for audible emergency signaling in the outdoors. The ferrocerium, or ferro rod, is positioned so that it won’t fall out of the sheath. The quality of the ferrocerium, which is a metallic material that, when scraped against a rough surface shoots off sparks, makes it easy to start a fire. 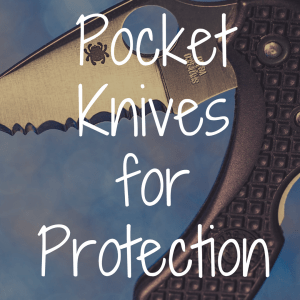 Gerber is known for its pocket survival guides, and this one, in addition to being waterproof, not only provides instruction but also illustrations that can make you the man—or woman–of the hour if an emergency outdoor situation strikes. The Ultimate Pro designers realized that the outdoor experiences can be extreme, with convenient sharpening tools not always at hand. So the Ultimate Pro comes through with its carbide-bladed pull-through sharpener that’s easy to use and convenient, even for entry-level outdoor types who might be wondering what they’ve gotten themselves into. The pull sharpener, thanks to the spacing of the choil between the hand guard and the knife edge, sharpens the entire edge of the knife without missing spots, making it particularly effective when out in the field. After a sustained period of heavy use, just a few pulls will restore the blade to its near-factory sharpness. At nearly $70, this Gerber knife is around $30 more expensive than its earlier version, but is still a reasonable buy for knives priced in the $60-$100 range. Remember that you’re not just getting a knife, you’re getting a survival package with the Gerber sharpener, whistle, waterproof pocket survival guide integrated into the sheath, and high quality fire steel rod. As well as quality that lasts a lifetime. For more on Gerber knives for sale, be sure to visit Amazon.com for the best discounts. And for more on great knife reviews, be sure to check out the Reliable Knife homepage. 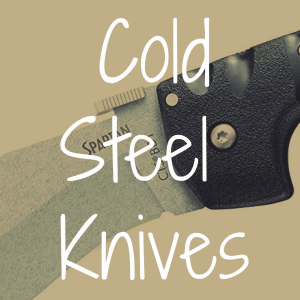 If you enjoyed this article, please join the Reliable Knife Facebook page! Which Ultimate Survival Knife by Gerber Is the Best? 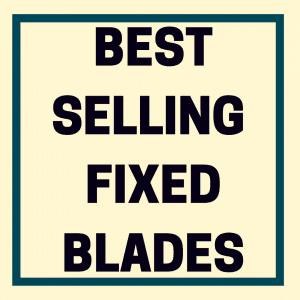 What’s the Best Fixed Blade Knife? What’s the Best Military Survival Knife? 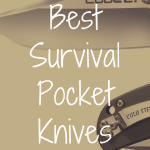 What’s the Best Survival Pocket Knife? 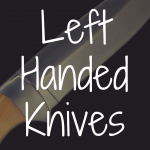 What Are Some Good Left Handed Knives? 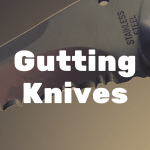 What’s the Best Gutting Knife?